Disconnect is a US-based company launched in 2011 in order to help people freely enjoy the Internet. 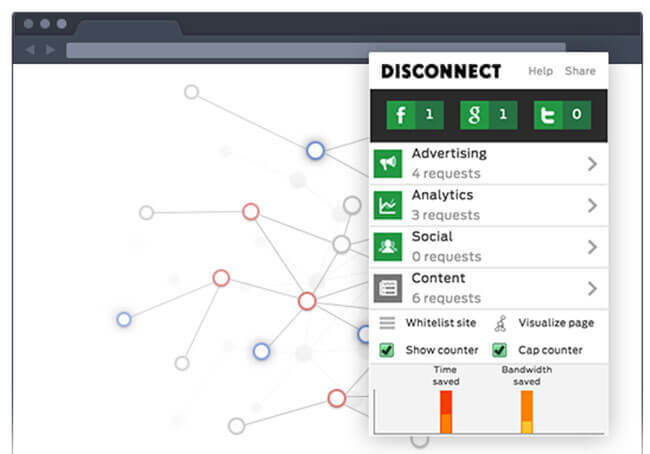 You might already know about Disconnect through its safe search and ad/tracker-blocking browser extensions, but the company also offers a very capable VPN. If you’re worried about companies that track your online activities and capture your personal information, read our comprehensive Disconnect review and learn whether this company can help you keep your online sessions away from prying eyes for good. Disconnect’s client is quite simple and straightforward, allowing even complete beginners to use it without any difficulties. The prevailing black-green color combination has a soothing effect and gives the client an elegant and refined look. The app is not cluttered with too much information. The center console indicates your current server location and the trackers blocked throughout your session. The top right corner features an on/off switch, so you will always know whether your VPN is active or not. Finally, you can access the settings through the cog icon in the top left corner of your screen. During our initial performance tests, we noticed a significant drop in speed when using Disconnect VPN. Our connection speed dropped up to 50% across different servers. Using our nearest server showed somewhat better results, but the connection still felt sluggish and quite fragile. We experienced a total of four disconnects during our testing process, so the company definitely needs to work on the overall reliability of its product. Good news is, we didn’t experience any WebRTC, IPv6, and DNS leaks during our tests. Across its plans and products, Disconnect supports all the major browsers and platforms used today. Its Basic (free) plan is available for Chrome, Safari, Firefox, Opera, and Samsung browser. The Pro plan is available for Mac OSX, iOS, and Samsung devices. Finally, Disconnect Premium is compatible with Mac OSX (10.12 and above), Windows (7 and above), iOS (9.2 and above), and Android (4.4 and above). Disconnect VPN allows up to 3 simultaneous connections. Apart from being available as a native client for Windows, Mac, Android, and iOS, Disconnect is available as a browser extension as well, acting only as a proxy and not a VPN. Having said that, Disconnect is definitely not a feature-heavy service. It looks good and has all the basic features, which is perfect for individuals who are looking for a minimalistic VPN or do not have previous experience with VPNs. The apps are very easy to use but lack any impactful customization options or info on anything but the available server regions and the total number of trackers the app is currently blocking. Again, this is perfect for VPN beginners but leaves much to be desired for seasoned pros. If you do need some extra help with this VPN, however, the official website features an extensive FAQ section that should cover most of your questions. When it comes to its servers, Disconnect only has three server locations, including, the UK, the US, and Japan. The company representatives state that they are constantly working on adding new server locations, but Disconnect went from having 4 locations to 3, so we don’t quite see that effort in action. The company doesn’t disclose the overall number of its servers, which is something we definitely do not like. This fact makes Disconnect VPN a very poor choice for P2P filesharing since you’ll never know the exact jurisdiction of your chosen server. 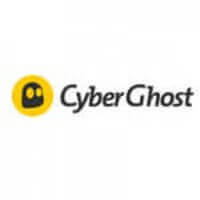 Disconnect VPN also provides its malvertising blocker, which blocks anything malicious or designed to track your online activities. When it comes to securing your online traffic, Disconnect uses AES-256 cipher with Diffie-Helman for key exchange, which also provides perfect forward secrecy. This is a solid security setup, so you don’t have to worry about anybody being able to interfere with your connection in any malicious manner. The service uses OpenVPN connection protocol for Windows, Mac, and Android devices and IKEv2 (IPsec) for iOS. On the other hand, there doesn’t seem to be any indications of a killswitch. Apart from that, Disconnect is a US company, which means it falls under its jurisdiction – and we know the US is one of the worst locations for a VPN service. The US is known for its data retention laws and mass surveillance wrapped in warrants and gag orders, so if you are seriously concerned about your online privacy and security, you might want to avoid US VPN providers altogether. Disconnect doesn’t collect any of your personal data, including your IP address. The company will only request your username and email address in order to communicate with you. However, it processes its payments through Stripe and PayPal, which are non-anonymous payment methods and therefore not ideal for VPN purchases. Apart from its exhaustive FAQ section, Disconnect features dedicated user support, which can, unfortunately, be accessed only via email. In other words, you cannot contact the company’s support staff through live chat, phone or any other immediate form of communication. Basic, providing a free browser extension that blocks malicious trackers but doesn’t act as a VPN. 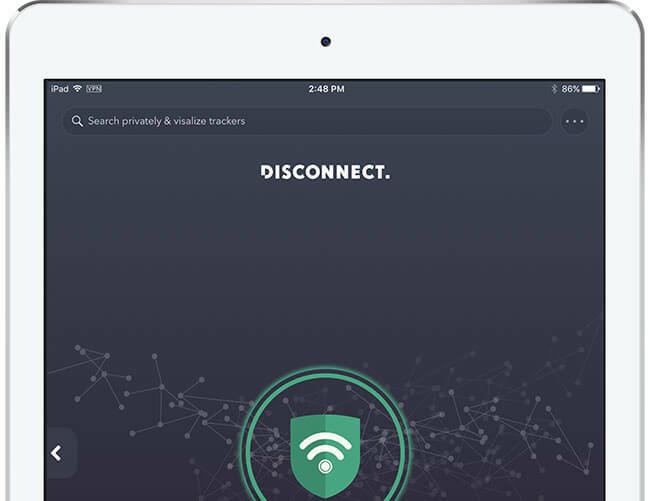 Pro (a one-time fee of 24.99$), providing an extensive tracker-blocking app that allows you to prevent malicious trackers from monitoring your online presence on Mac OSX, iOS, and Samsung devices. It works on both cellular (2G, 3g, 4G, LTE…) and Wi-Fi networks and supposedly accelerates page load speeds. It also supports both 32-bit and 64-bit devices. Premium (35.99$ per year), which is the only option that acts as a VPN. This is very important to note since people have used Basic and Pro in the past hoping to get VPN protection, which they did not. Additionally, Disconnect Premium also works on Windows devices. To sum it up, the Basic and Pro plans do not encrypt your connection or provide you with any type of online security. If you’re looking for a VPN, Disconnect Premium is the only option you can choose. It also features all the tracker-blocking capabilities of the previous two plans. As we wrap up this Disconnect VPN review, here’s a quick overview of the features that wowed us and the aspects of the service that could use some improvement. Our ratings are the result of an objective and independent evaluation of Disconnect VPN, generating the final rating that reflects the overall quality of the company. Ratings may change as the service changes. Disconnect VPN user rating based on 4 user reviews. We found 0 verified Disconnect VPN discounts for April, 2019. There are no Disconnect VPN coupons or discounts right now.